The RAMANRXN4™ analyzer offers an alternative to typical process analyzers. The chemical specificity and spectral range of the RAMANRXN4™ analyzer allows multiple chemical components to be independently identified. 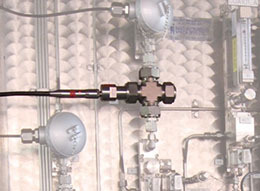 Benefits for Raman-based component analysis include fiber-optic connectivity to remote sampling locations (no sample loops required), no consumables, and a single RAMANRXN4™ analyzer can measure multiple sample locations. 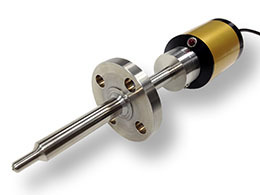 Installation flexibility is accomplished by fiber-optically coupling an appropriate RAMANRXN4™ analyzer located in an analyzer shed or general purpose area with Kaiser’s high-performance probes (WetHead™, AirHead™, Pilot™-E, RAMANRXN™ Probe or PhAT) for sampling. 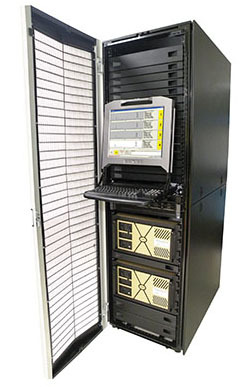 A RAMANRXN4™ analyzer can be supplied in either multi-channel or Hybrid configuration (with 785nm extension). The multi-channel configuration allows up to 4 sample points to be measured while the Hybrid configuration allows the use of Kaiser's wide-area Raman PhAT technology. The RAMANRXN4™ Raman analyzer is only offered as a multi-channel analyzer at 532nm or as either a single channel or multi-channel analyzer with 1000nm extension. The RAMANRXN4™ Raman analyzer has been designed for easy 3rd-party integration into standardized company-specific installation packages. 3rd-party integrators should contact Kaiser directly to discuss their needs, installation requirements, and to receive engineering documentation. (width × depth × height): 19" × 24" × 10.5"